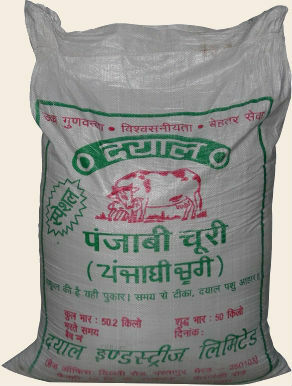 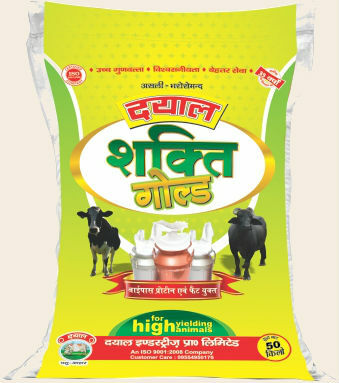 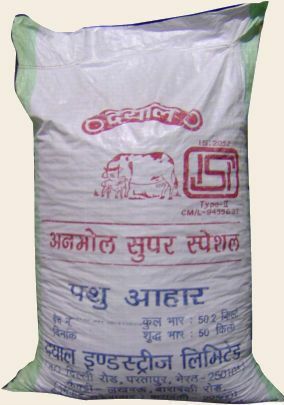 Dayal makes premium quality Cattle feed and strives to improve the health and well-being of animals with its feed and farm services. 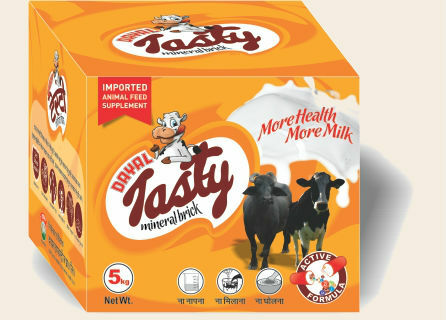 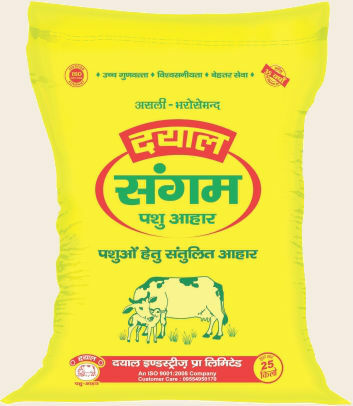 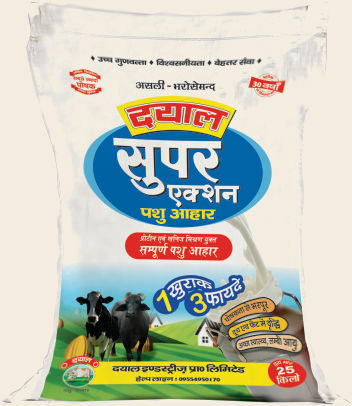 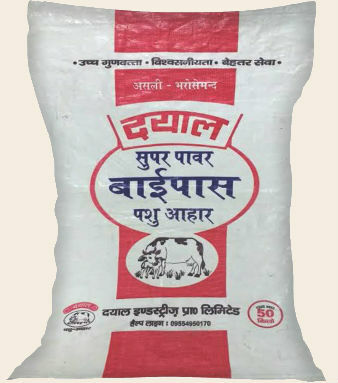 Dayal makes feed for all types of animals from 0-5ltrs to even up to 40ltrs milk yielding animals, and with range in Type I, Type II, ISI, Mash and Pallet form. 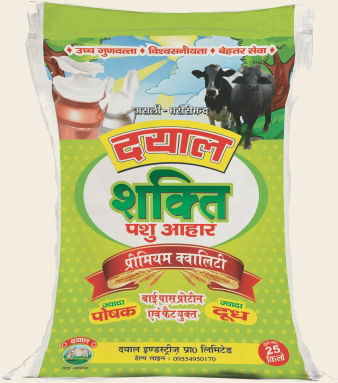 Our team is continuously involved in spreading awareness about non-standard feed ingredients and promote balanced nutritious feeds. 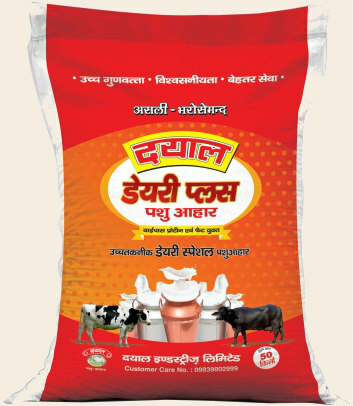 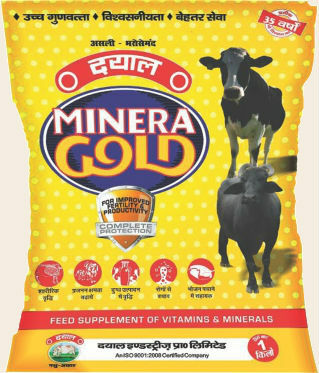 Our feeds are enriched with high quality by pass proteins, vitamins, minerals, calcium & phosphorus.